Connect - Connect what you learn with music you like, and play like your favorite guitarists. 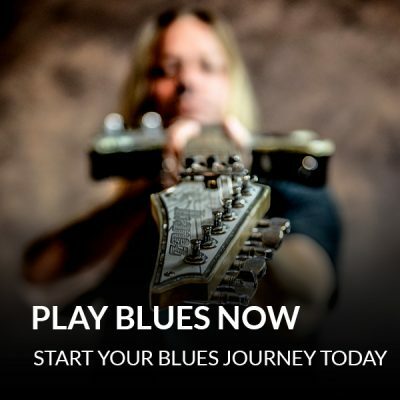 Play - You’ll play authentic blues guitar with confidence... and you’ll create your own blues solos from scratch. Truly an excellent course. 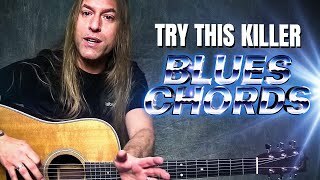 For anyone who's looking to add some elements or just trying the blues for the first time, Steve has a way of explaining things and helping you figure out what you need to work on to go to the next level and keep you motivated as well! Great course. Clear easy to follow tuition. Steve has the ability to de-mystify the elements of each discipline & motivate the student to keep on trying until I get it! Great fun. Good course. Steve does a good job making things simple. Great for beginners and advanced beginners! The only reason I didn't give it a 5 is there was no mention it was taught on an Acoustic guitar. However, the information translates well to the electric. I recommend this course. I had expected more of it. Steve explains things very well, but I thought he would teach more, like in his other video's. Much depends on yourself, on your discipline. A bit more guidance would have been nice. This is a great course, easy to understand, and also expands on finer detaills missed in other courses. I am learning to play with guitar knowledge rather than like a robot. Steve*s explanations are very descriptive and easy to follow. Excellent course. Steve is an excellent teacher, and a monster player, who approaches the blues with respect and reverence. Learned the importance of resolving licks with chord tones instead of buzzing about the minor pentatonic scale just randomly playing licks. Now letting the notes breathe a bit and resolving on a chord tone in the progression. Still lots of work to do...but it's a lifelong journey. Very much enjoying the ride. Thanks, Steve! Great stuff, the chord embellishment section left me hanging on what can be done on 6th string bar chords and minor though! I've been playing for quite awhile, and while for me the first lessons were easy, the last lessons, however, did a masterful job at tying things up in my head on what I had been missing for many years. 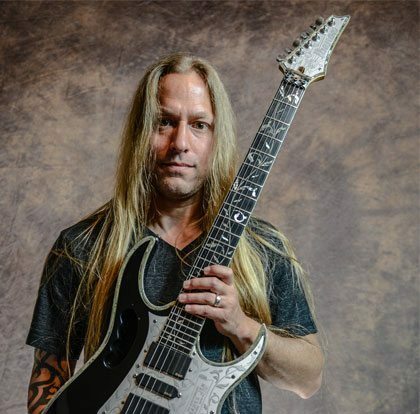 Steve wants the student to understand what they are learning rather than just showing off licks and riffs that other people do or just play fast. That said, Steve sprinkles in some of those courses as bonuses...great work guys! I lover it. It is very simple to understand. Steve has a way that I have bot found in any other guitar teacher. He is one in a million. Thanks Steve for another great course. Great course! Steve is a wonderful teacher . Was clear and easy to follow . Expertly done. A great teacher , and very gifted! To be recommended. Thank you Steve. This is an amazing course!!! Steve really lays out the basics for you. I couldn't learn the basics in 30 days though. It takes practice, practice and practice. But, once you get it and can connect the dots, you'll really have something solid to build on. I didn't start on it till after I'd had it for a while, but once I did I have been having a lot of fun with it. I've been able to experience breakthroughs that I thought I would never be able to learn. I can't wait to see where I'll be when it's all over. I've been combining this course with "Play Blues Now." I'm confident that with these two courses I'll have a solid foundation in blues guitar. Thank you Steve! I haven't completed the lesson yet, but what I have completed is exactly what you would expect from Steve! The idea to view the major pentatonic scale as the same shape as the minor pentatonic scale is very helpful. I have several other lessons and I pick and choose from each of them to keep things interesting (rather than trying to complete each one). Have also learned a lot from Steve's free lessons on you tube! Thank's for your time and effort to produce these video lessons. Steve is a great teacher!! 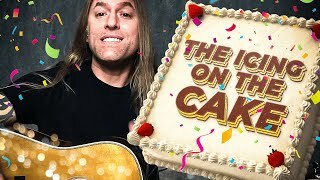 While I am not a blues guy myself, I did recognize the need from a guitar perspective to have an understanding of the basic concepts that blues guitar encompasses. Not only that, the music that I do enjoy has in one way or another been influenced by blues. Because of this, the applicability and practicality of the lessons covered in the program extend beyond the blues. Thanks to Steve and this course, I now know all 5 of the minor pentatonic positions, which has opened up all kinds of musical opportunities. He explains everything in easy-to-understand terms, and he speaks like a teacher (a good thing) in that he correctly anticipates and addresses a lot of the questions and concerns that students (myself included) have. It is a good building block that guitarists should have under their belts, even if blues isn't their thing. 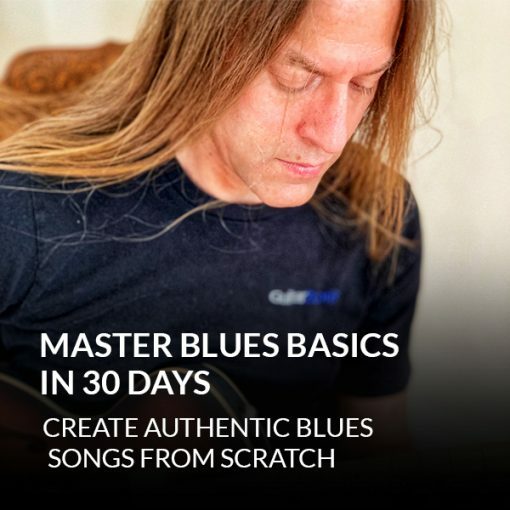 Master Blues In 30 Days is a great crash course for those who want to get a solid handle on playing the blues. 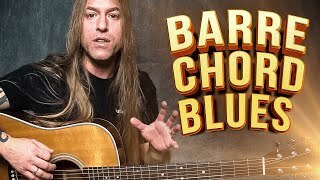 You'll learn the genre's most essential/fundamental building blocks (dominant 7th chords/shapes, the 12 bar blues form, playing in different keys, common chord progressions, rhythmic ideas) as well as how to solo using the minor pentatonic/major pentatonic/hybrid scale/blues scale, etc. You'll learn how to create fills/licks (and how to create those licks logically depending on the chord you're playing) as well as chord extensions and fingerpicking patterns/ideas that will allow you to go beyond just playing chords. After taking this course, you'll have a hefty box of tools to make up your own blues songs Johnny On The Spot any time somebody asks, "Know any blues songs, man?" If you, alone or with buddies or a band, have been longing to belt out some improvised old school blues, this is a great course to make that happen. It's a great course with expert instruction, by a motivated teacher, but you cant learn this in thirty days. I 'm still working on the basics and it's been over two months. You need to want it and be willing to make time and work it to get better. That being said I rate this product five stars and highly recommend it.